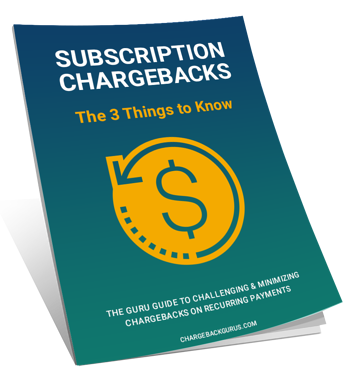 Subscription model businesses are considered high risk for chargebacks, especially when compared to other merchants—and till have a ways to go to meet this challenge. This guide will help you to understand your risk level, and how to identify the root causes of your subscription chargebacks so that you can fight and prevent them. Chargeback management best practices including pre and post-sale prevention. Ready to fight & recover chargebacks? Download the guide now!